Assumption is known as the mother of all foul-ups and nowhere is that more true in managing a project. 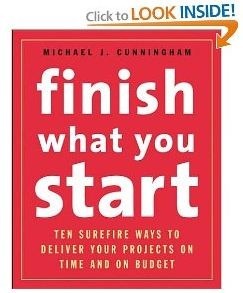 Proactive management of any project will save your project time and time again. Whatever the reason, taking your eye off the ball during a project will always cause problems. The amount of malfeasance will only vary according to how much negligence has occurred. Monitor what is happening everyday. Put a placeholder on your calendar to check the status of the project on a regular basis. If project members are not providing feedback, do not assume that nothing is wrong. Lack of feedback may mean that everything is fine; on the other hand it could be starting to go badly wrong. Assume that something at least needs checking on if even reporting deadlines are being missed. They could be the beginning of more sinister things to come. Employ a policy of random checks. Without being military in nature, it is a good practice to check on a regular basis on the status of aspects of the project that you feel might need it. These calls or enquiries can be just arbitrary in nature and are also a good way of increasing contact with other team members in a less formal way.